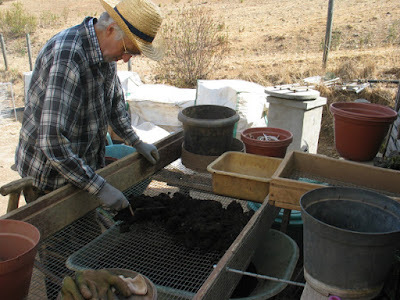 How we use our compost, part 2. 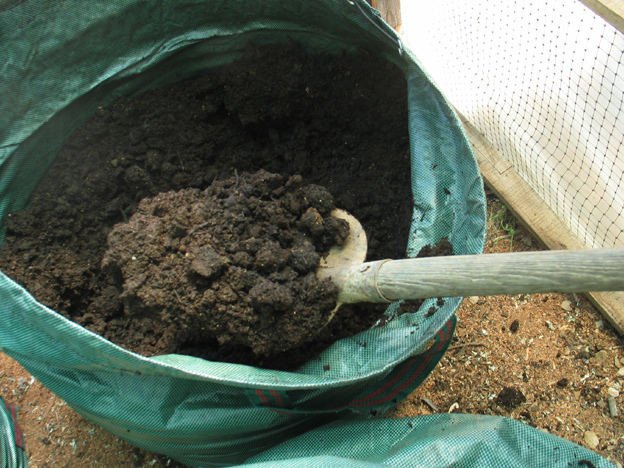 Making a mixture of fresh compost and soil. 50/50. This is the soil, as we see it here. Impervious in the summer and soft and accessible in winter, when it occasionally rains. We have the impression that here we are dealing with a drift sensitive loamy (slate dust) soil. 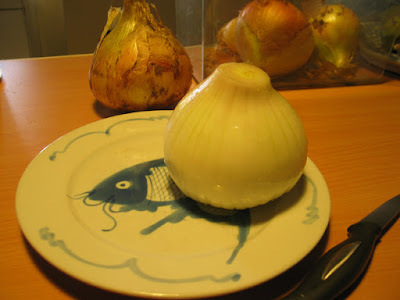 It is malleable when wet, but it remains grainy. 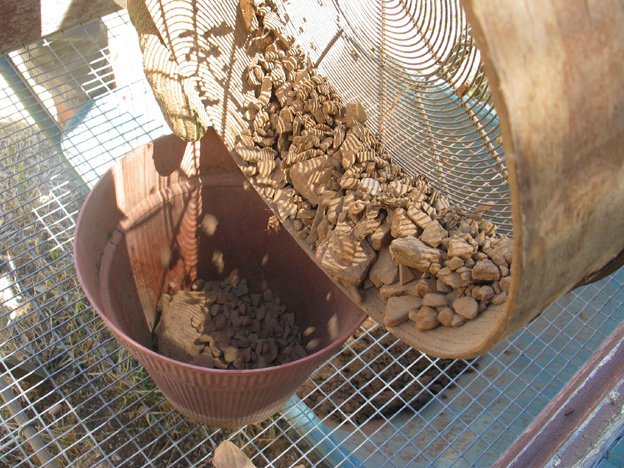 It does not consist of layers, such as clay. In the summer, Hendrik makes the soil a little wet before he starts digging. He finds many stones. The big ones already he puts aside. 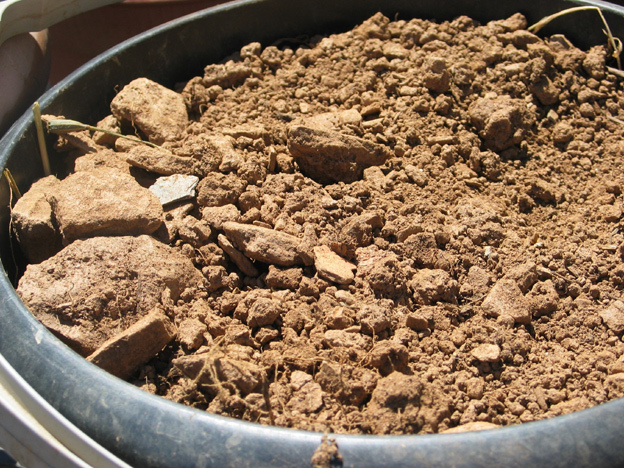 Hardly any soil life can be found in this soil. There is no earthworm in sight. A single pill bug lives under a rock. 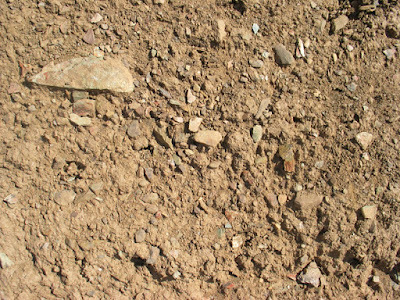 When the soil is so tough as concrete in the summer, it seems like dead, lifeless. But the environment appears to be mastered by ants. They are mainly active in the winter and in places where there is water. Here you find them in all shapes and sizes from 2 cm. long till minuscule small, about 1 mm. When they run along in columns to a destination elsewhere, they can not do so much harm. No more than sting you when you are in the way. But when they attract aphids and milk them on the beans, carrots and melons, then it gets tricky. And there are so very many of them. Actually one cannot fight them. Not in a humane way. Deriving ants with a so-called repellent plant (like the pretty orange Tagetes) is counterproductive. Ants make a party on Tagetes. They love them. Besides attracting aphids, the ants also do positive work through eating the eggs of butterflies. 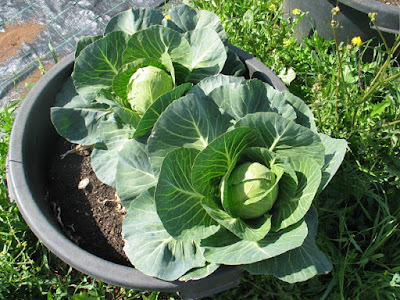 To us it does not seem useful, that the caterpillars eat the cabbages. But when the butterflies fertilize the flowers we do not complain. 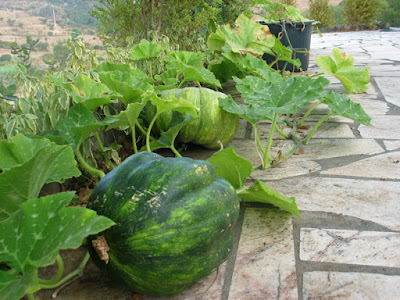 We will have to live with this all, which basically means that the garden needs its attention. Clearing the aphids and caterpillars where it is needed, let ants do their cleanup work and give butterflies the opportunity to fertilize the flowers... So, just gardening. 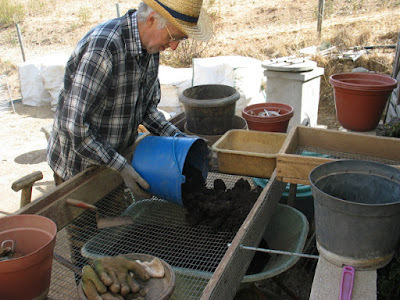 Hendrik sifts the soil several times. He uses a coarse and a fine sieve. 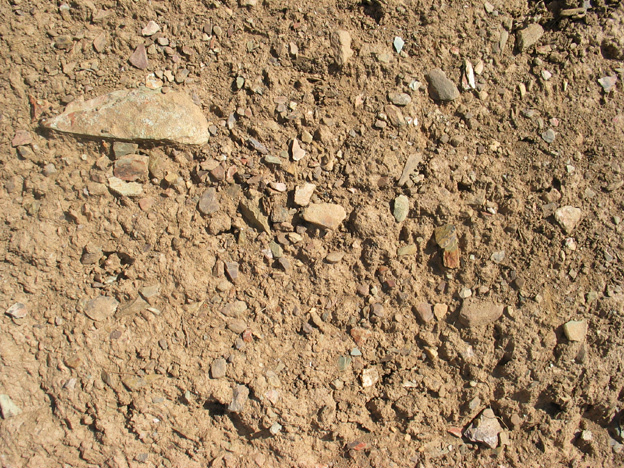 This is what remains, stones large and small. Hendrik says he finds very many, but that in the end this is not too bad. 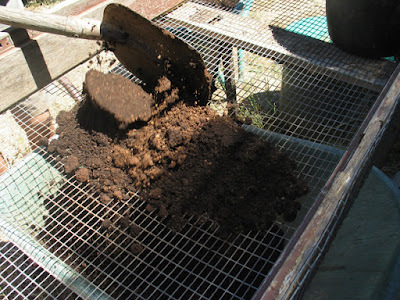 Sieving the soil aerates it also. So after sieving the volume appears to be the same as on the moment he starts sieving. 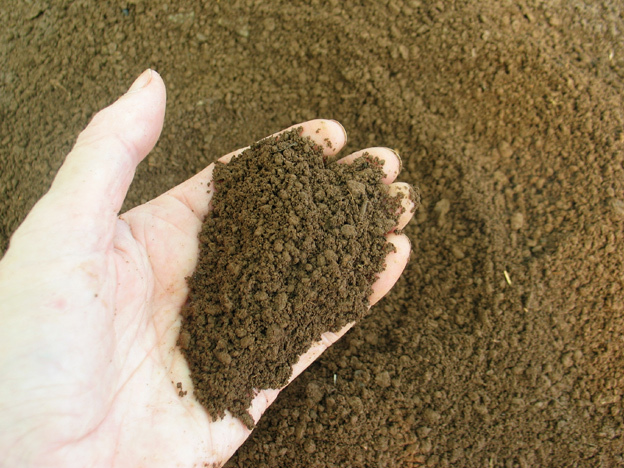 And air is what this soil needs. The sieved soil looks great. Then it is time to mix the soil with fresh compost. This compost is ripened well, after it came out of the composting process. It has already been turned a few times with the shovel. Here two worlds come together. Sometimes it seems like they repel each other. To mix this mixture well it is sieved again to finer all clods. And then it looks like this. The yellow ocher color of the soil prevails. This is a 50/50 mix of soil and fresh compost. 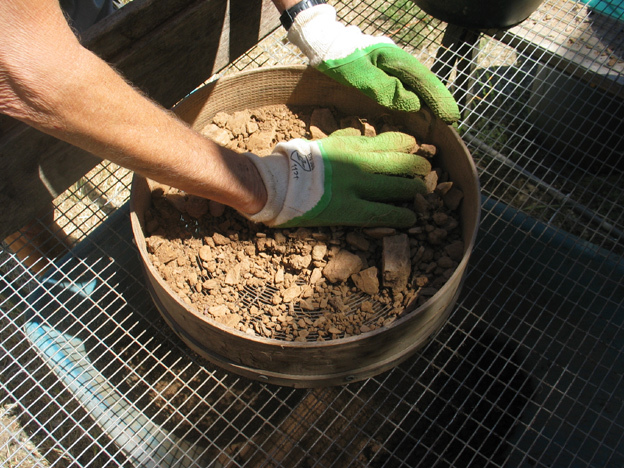 Because we have grown a lot in pots (and still do), old finished potting soil is left at the end of cultivation. Until now, this potting soil mainly consists of compost. We recycle old finished compost from previous crops. 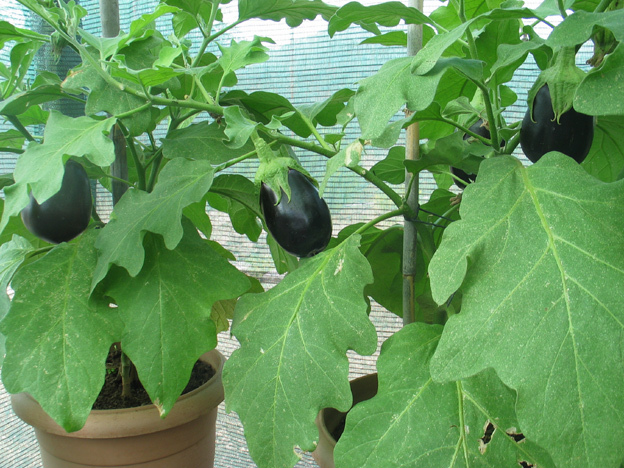 The large plants are grown in a pot with 1/4 fresh compost at the bottom of the pot and 3/4 old finished compost on top of it. With this we always have had good results. 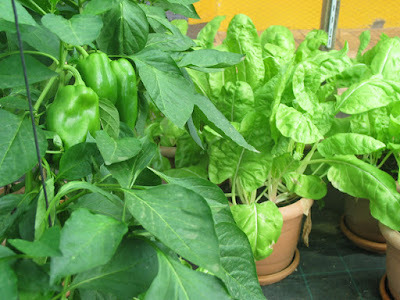 Gradually, we began to add more soil to the pots, because we had the idea, that there could occur a shortage of minerals. And conversely, compost makes the soil active, so that it can pass its (many) minerals to the plant. 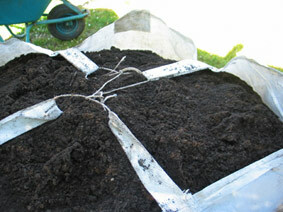 Until this spring, we used 1/4 fresh compost in the pots, with 3/4 old previously used compost on top. 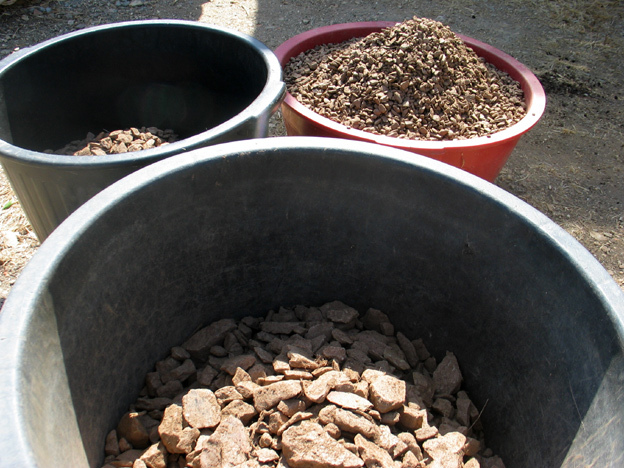 At some point we ran short of old finished compost to be used on top of the pots. Because of this we started using more fresh compost instead. This was not such a good idea. 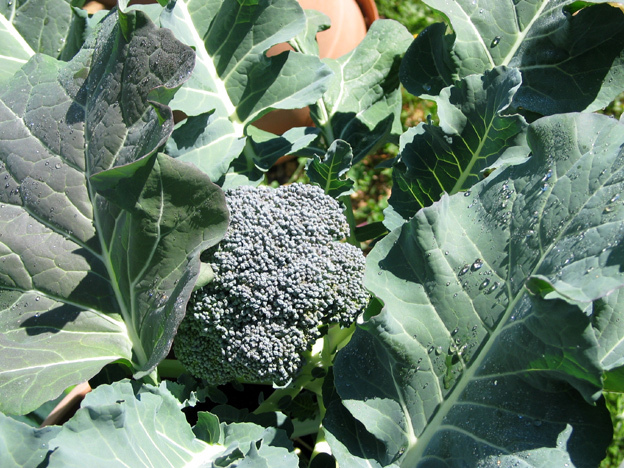 We used the fresh compost 'too early' so that it had not ripened properly yet. 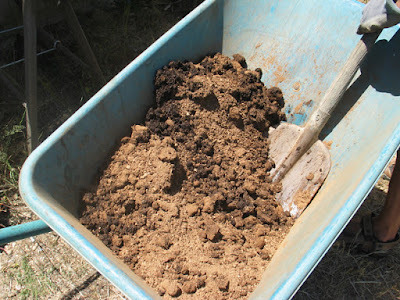 The nutrients washed out in leachate (a good fertilizer actually, that can be used as a compost tea). 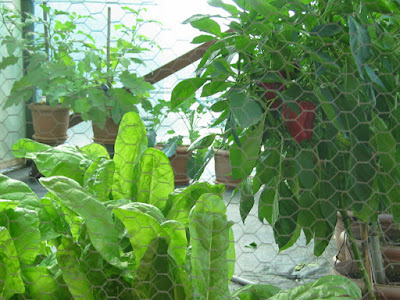 In addition, the plants became overfed with in water dissolved fertilizers. It was all too much. 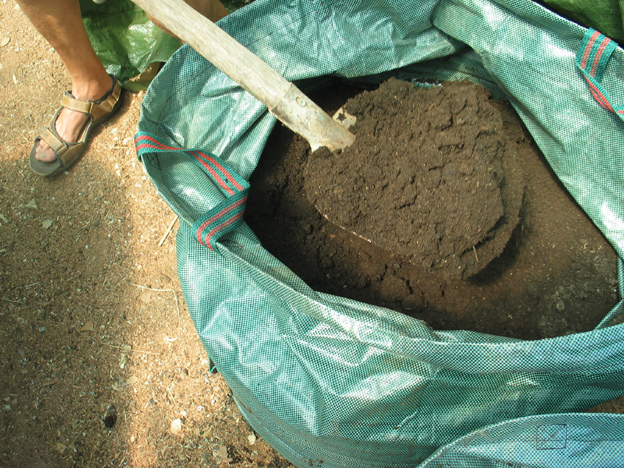 When we added soil to this fresh compost it worked like a catalyst. 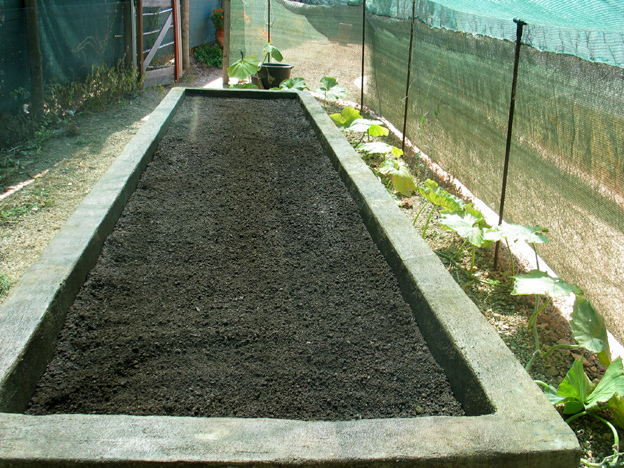 The soil could hold the moisture better and it also gave more strength (a skeleton) to the potting soil. 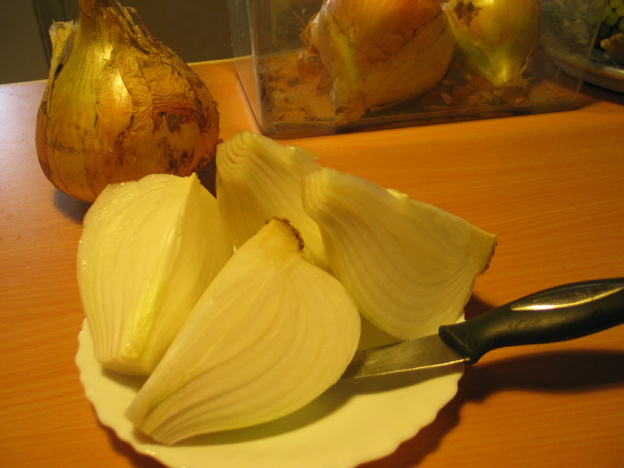 For us this was an important moment to review an old habit. Now, by adding soil to the compost we also discovered how much soil we had to add. For now Hendrik made a mixture of 50/50. But this does not appear to contain enough food, to grow lettuce for instance. 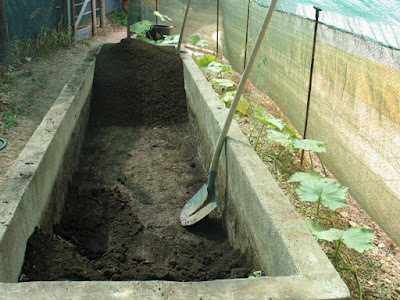 It is not that the compost is so active that all the minerals from the soil revenue into usable food for the plants. 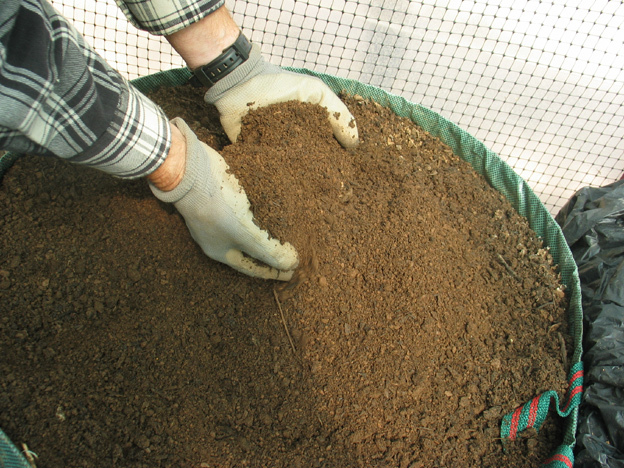 It takes a long time to make the soil and the compost 'get used to each other'. 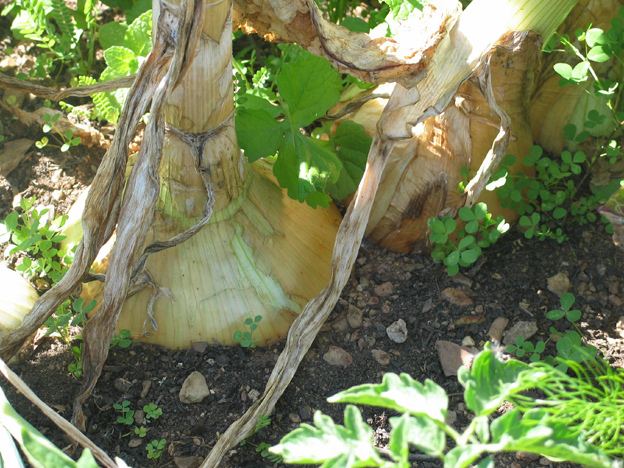 Along the way you can see the fertility of the soil increasing, 'mirrored' in the plant. They are indeed two very different worlds which seem to repel each other when they come together. 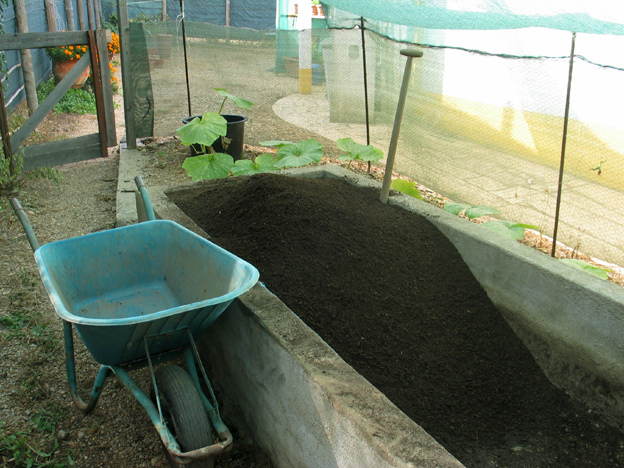 On can see the proses evolving by the color of the potting soil. First it is red with a bit black in between. You could pick out the grains, red or black, easily. 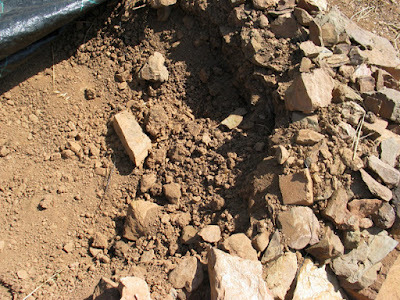 After cultivation, the soil turns black and all has passed into another. 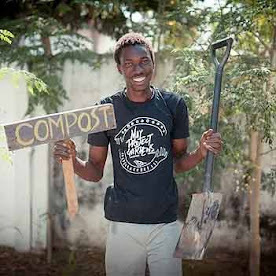 What we do know is that you can not make the soil all right with a gift of compost at once. This takes time, ánd a few crops. This is what we see. This is old finished compost from previous crops in pots. 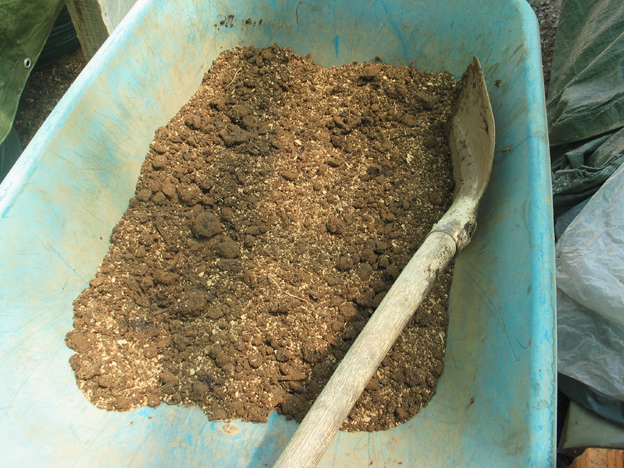 Here, the old compost is mixed with the 50/50 mixture of soil and fresh compost. In this way, we make a potting soil containing approximately 75% compost and 25% of soil. 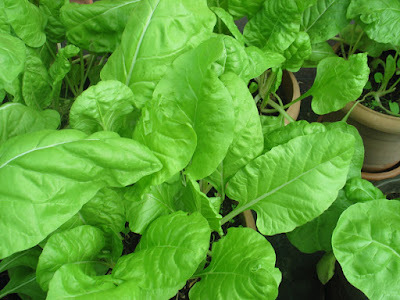 For the finer crops, such as lettuce, Hendrik sifts this mixture again. 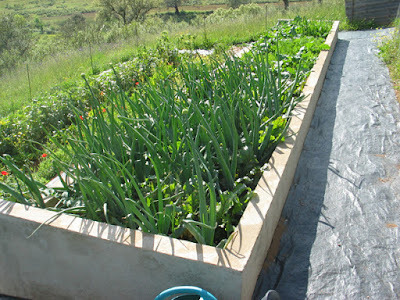 We not only cultivate in pots, but also in a few big raised beds alongside the house. 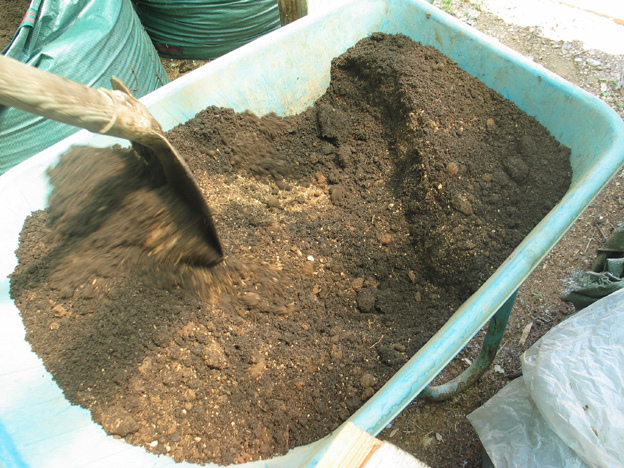 The old potting soil from the large plant bed is sieved and mixed with the 50/50 mixture of soil and fresh compost. After that it goes back into the bed for the next crop. in the bed for a subsequent crop. Our expectations are high ... This year we will try black salsify (scorzonera). Let's see, if it likes to grow in Portugal ... Who knows? 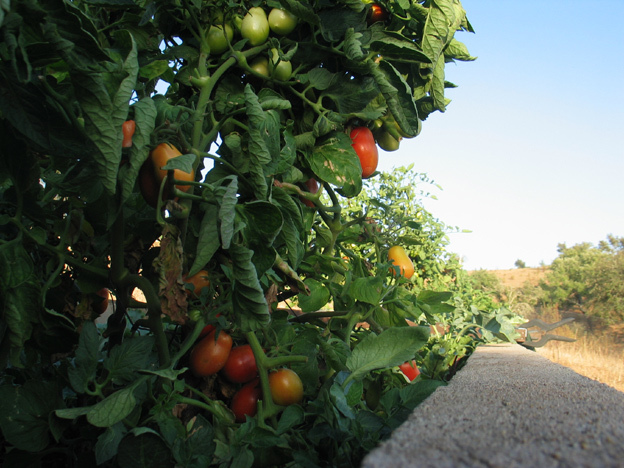 This summer, with varying success, we had brought diverse cultures to a successful conclusion. And with our new discoveries it went better. 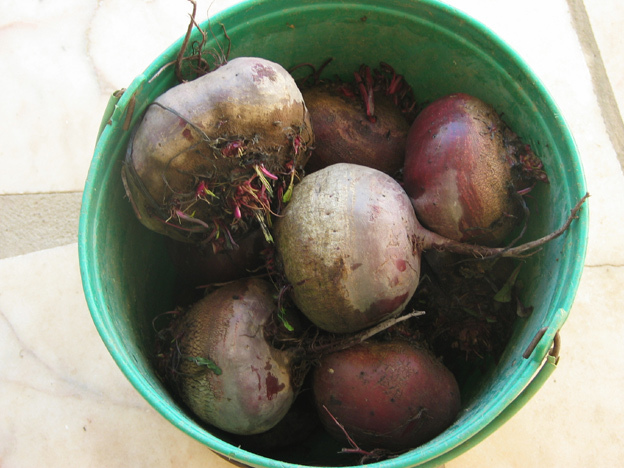 The onions were gigantic and the beets were nice and sweet. The cabbages where bigger than the previous year, also thanks to a good professional race. For this makes a whole lot difference... a professional seed for a good result. Oh yes, and véry much water.